Tracy Wells’ love of drama started at an early age when her parents took her to see big name shows in local community theaters. She loved the characters, the scenery, the costumes, and most importantly, the beautiful stories that came to life before her eyes. As a teenager, Tracy joined her high school drama department and got her own taste of small stage stardom — as well as her first glimpse into the challenges that schools and community theaters face, such as limited budgets, little to no stage or storage space, and the lack of scripts for large cast sizes. Upon entering adulthood, Tracy settled into life as a wife and mother while also working part time as an Occupational Therapist. But the theater came calling again when her husband accepted a job as a junior high drama teacher. Once again those challenges presented themselves — little to no budget, a small stage with only a few working lights and difficulty finding scripts with enough roles for his ever increasing class numbers. That is when playwriting entered Tracy’s life. With the start of school quickly approaching, Tracy decided to pen her first one act play, an adaptation of O. Henry’s “The Gift of the Magi”. The play was well received by the students and Tracy decided to seek publication for the script as well as continuing to write more one act plays and eventually full length plays as well. Tracy now has more than fifty published plays with a number of publishers and her plays have been produced all across the country as well as internationally. When she writes a play, Tracy continuously keeps in mind those challenges she recognized all those years ago on the high school stage — limited budget, small stages, and the desire to let each character shine. 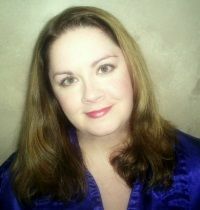 Tracy continues to write plays for the youth and Christian market and resides with her husband and two children in Metro Detroit.